Treat yourself or someone you know to a personalized, autographed copy of our book “A Trip to the Beach.” Our books are also available (un-autograhed) at bookstores everywhere. 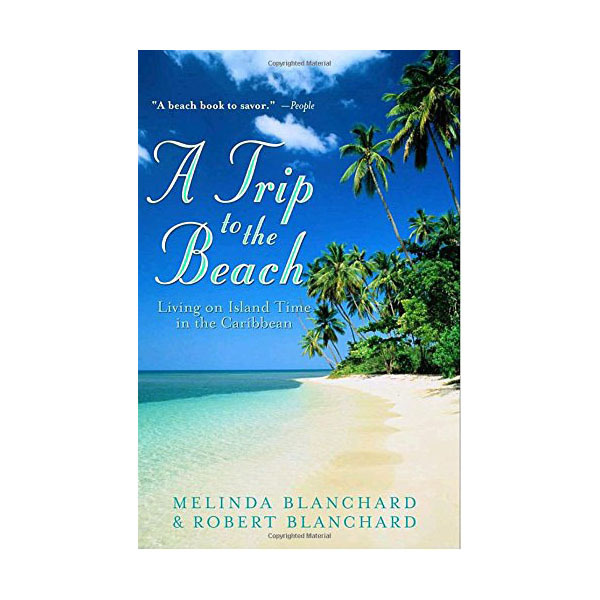 A Trip to the Beach (Clarkson Potter) chronicles Bob and Melinda’s adventures as they start a new life in Anguilla. The couple quickly realizes that living the simple life isn’t so simple. Adapting to quirky island customs, building a successful business and coping with the devastation of a major hurricane are just some of the challenges they face along the way. But with the hardships come blessings. Bob and Melinda meet island friends who quickly become family, discovering there’s so much more to Anguilla’s beauty than pristine beaches and glorious sunsets. What people are saying about A TRIP TO THE BEACH . . .
“A Trip to the Beach is the next best thing to being there.